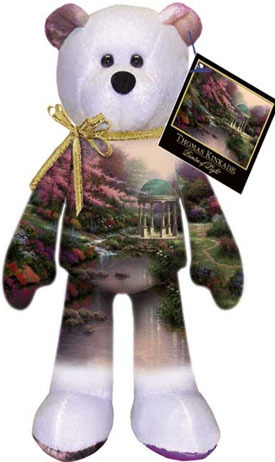 Limited Treasures has been fully licensed to produced LIMITED Edition Thomas Kinkade Gallery Treasure Collectible Teddy Bears. This series is INCREDIBLE! Limited Treasures has perfected a technique to take works of art and permanently imprint them on a canvas of plush bean bears, while maintaining the soft plush feel of the fabric.